Discover all that Vienna has to offer with Hotel Mailberger Hof as a base. Each of the hotel's guestrooms offers non smoking rooms, air conditioning, daily newspaper, desk, hair dryer, in room safe, television, bathtub. To suit guests' convenience, this Vienna accommodation offers 24hr room service, elevator, bar/pub, laundry service/dry cleaning, meeting facilities , restaurant, room service. 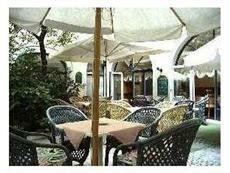 The hotel offers garden to provide extra pleasure and relaxation for all guests. With elegant facilities and hospitality, guests at this hotel will surely have an impressive stay. To book a room easily at the Hotel Mailberger Hof, please submit your travel dates and proceed with our secure online booking form.